I came across a platformer game on Google Play this afternoon, filled with what looked like dark environments and demonic creatures. Naturally, I was intrigued. The game is called Oscura: Second Shadow, a sequel to the original Oscura, filled with gorgeously unlit mechanical scenery, shown off only by a single light from your glowing hand. 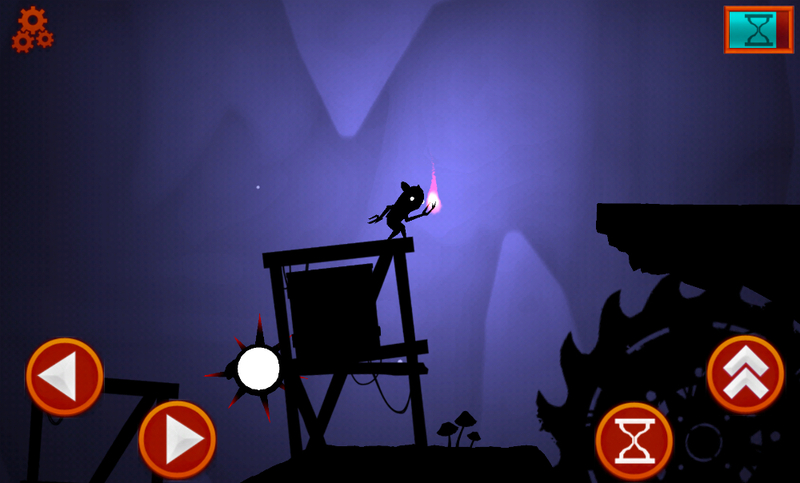 In the game, you play as a rodent-like creature that must search through countless levels for glowing gears and light crystals. These crystals will fill your power bar, which is used to slow down time and your enemies. As for your opponents, they are very creepy dark evil creatures, resembling bats and even mammals with antlers attached to their heads. How many crystals and gears you end a level with, that is what determines your score at the end. The obvious objective is to try to collect as much as possible. The only real challenge is navigating such a dark world, as well as the fact that you cannot hurt the baddies, at least from what I can tell. The only way to survive is to not fight them. With smooth controls and wicked gameplay, the game is certainly worth the $3.51 current asking price on Google Play.